A moisturizing sunscreen is a must-have for any skin care routine. Hydrate and protect your complexion in one step with EltaMD UV Facial Broad-Spectrum SPF 30+. This sun protection product defends the complexion against both UVA and UVB rays that cause fine lines, wrinkles and dark spots. Hydrating ingredients replenish the complexion to maintain a soft and supple texture. 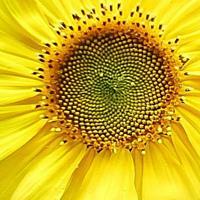 These ingredients also prevent dryness, flakiness and itchiness that can be the result of over exposure to the sun. You can easily wear the silky and lightweight formula underneath your makeup. Try this moisturizing sunscreen and simplify your morning routine. EltaMD UV Facial helps prevent sun-damaged skin. 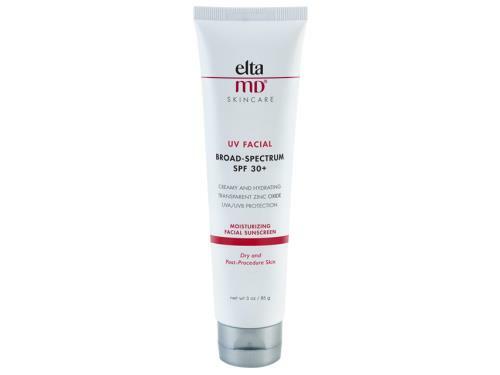 EltaMD UV Facial Broad-Spectrum SPF 30+ uses superior ingredients to provide protection against the sun. Harsh UV rays injure cells and cause sun-damaged skin that appears dull, uneven and tired. Zinc oxide and octinoxate provide a barrier against sun damage to help maintain a youthful and healthy complexion. These ingredients are gentle enough to use on sensitive or reactive skin types. This formula is also paraben-free, fragrance-free and non-comedogenic so it is safe to use daily. Apply this product for effective sun protection in a replenishing and hydrating formula. Tell us your thoughts about EltaMD UV Facial Broad-Spectrum SPF 30+ - Tube 3 oz and receive 50 rewards points! Great moisturizer and sunscreen in one! I have dry to normal skin and EltaMD soaks right in giving my face a glow. I live in the South and must use sunscreens every day. Each year or so, I decide to try something different. I had tried Elta MD before but did not like how it felt on my skin. This year, my dermatologist gave me a sample and encouraged me to try it. I did, and it worked. Worked well. Perhaps, the difference is this time I read more about it and applied my moisturizer first. Waited 15 minutes & then applied the sunscreen. Big difference. Now, it's my favorite. I love the moisturizer with the sunscreen of this product. It saves a step and helps protect my face without thinking about it. The moisturizer blends right in and is not greasy at all! I had used this in the past but switched to another one. I forgot how much I like this sunscreen! It protects my skin while moisturizing it, which is great for my dry skin. It goes on smoothly and absorbs easily into my skin. Love this sunscreen for daily use. Light, not too greasy and goes on without the white residue of some other sunscreens. I have break out prone skin, and this has never caused any issues. Not greasy and absorbs fairly quickly with no white cast. A small bit goes a long way too. This is one of my favorite sunscreens. It goes on creamy and does not pull at my skin. It is lightweight and serves as a moisturizer as well for my 74 year old skin. It does not feel like I am wearing a mask, it is very breathable. It provides good protection for the hot Arizona sun in the summer months. I use this sunscreen on my face at the beach and also on weekends or days I am not wearing makeup. Covers well, is hydrating (love that with my dry skin) and no white residue. Very nice sunscreen! This is my new go-to facial moisturizer for summer! Fortunately, (for my skin!) I am not a sun-worshiper, and I am never in need of a heavy, water-resistant type of facial sunscreen. A good facial moisturizer with an SPF of 30 is perfect while running errands in the summer. The fact that it did not sting my eyes was a plus and it does not bother my skin which is slightly more sensitive due to my Tretinoin (A) and Vit. C serum regimen. 118 people with a 5 star rating you can't go wrong! This is the 1st sunscreen that I have used that actually helps to moisturize my very dry skin. I was using Avene before, but I found it left white residue on my face. It also did not hydrate my skin like this Elta MD. I'm a convert! This is the best sunscreen on the market. It is gentle but effective. I have sensitive skin and this does not irritate my skin. Love all their products. Smooth and absorbent, goes on with no white residue. I have used it for years. I've been using this sunscreen for years and I believe it is one of the best on the market. It's not drying to my skin and helps keep my brown spots to a minimum when I'm at outdoor events. It goes well under makeup as well. I have been using this tinted sunscreen for several years. I like it because it goes on easily and looks good with the tint that blends in nicely. It is not greasy like some others that I tried. The only issue that I have with this and why I gave it 4 stars is that I wish it came in a simple tube instead of a pump. But, still this is an excellent product for the money. This product goes on smoothly and does not cause your foundation makeup to ball up. I love that it does not leave your face looking shiny or oily, yet it provides excellent sun protection. It's a winner! I really like this sunscreen, but it does make me a little shiny. It does not leave a white cast, which I really like. I love this sunscreen. I had originally tried Elta MD's UV Clear but after using it for several months I noticed how dry it was making my skin. Winter was approaching so I opted to try this out for the colder, drier months. This has since become my year round sunscreen! Very emollient and works great under my foundation--no pilling at all. I have dry skin (with an oily t-zone in the summer months) that is acne prone and haven't had any breakouts or issues with this. I prefer a more dewy, moisturized look, so I do not mind the finish that this sunscreen gives. Those that are oilier may not be a fan, but my skin loves this stuff! Have repurchased at least 5 or 6 times. It's hard to report on any lasting white cast left with this as I am quite pale. Those that are tan may have a problem with this. I am probably the only person who was disappointed in how lightweight this sunscreen is. I wouldn't agree with the creamy description. In my opinion, the EltaMD untinted Clear sunscreen is much richer and more moisturizing. This is a good, basic sunscreen. The white tint and the shininess from initial application fades enough to be wearable without makeup. But, I doubt I would repurchase. It isn't light weight enough to be invisible and it isn't rich enough to be a one-step sunscreen/heavy duty moisturizer for dry skin. Great product. I've used this for many years. It is very lightweight and your skin can still breathe. This is a very gentle and moisturizing sunscreen. I often use it as a base layer of sunscreen (and moisturizer) especially for chest and neck. Then, if I will be outdoors a lot, I put an additional sunscreen on top of it. I like the convenient tube as it packs well for travel.